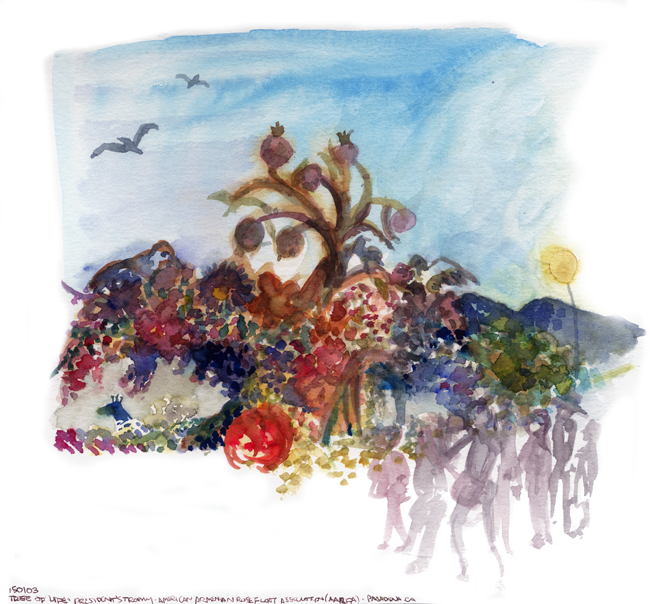 This year I had a chance to sketch some of the floats that were on display after the Rose Parade with another artist. 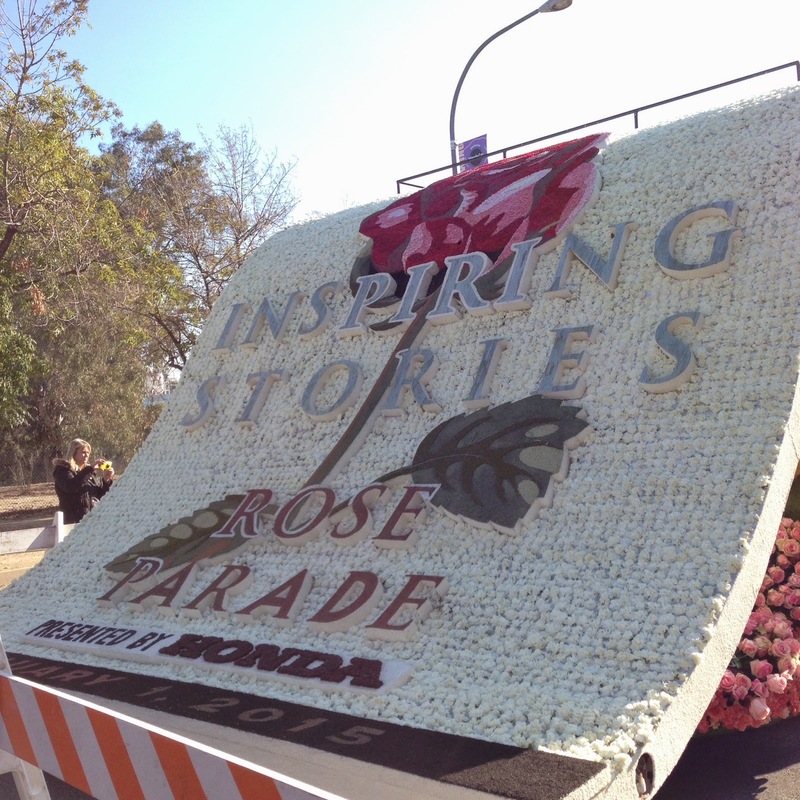 The theme for this year's floats was "Inspiring Stories" and all 40 floats on display are required to be decorated with only plant-based materials like flowers, leaves, barks, seeds, and grains. 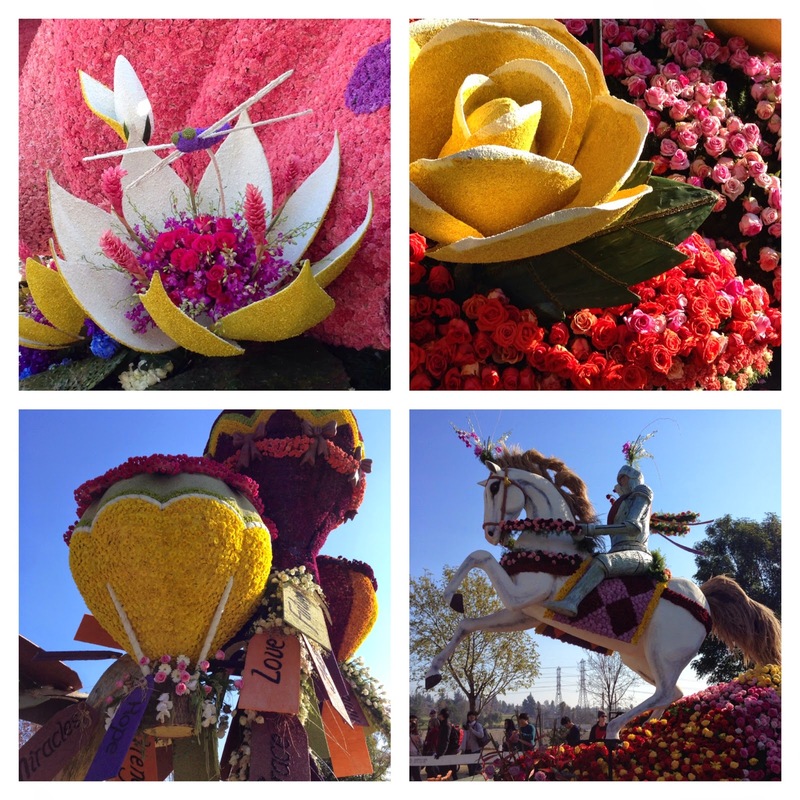 Many floats were indeed decorated with roses, and some floats smelled nice from the flowers. I learned that some of the flat color areas were achieved by mixing flower petals in a blender and gluing them down on the surface. I am impressed by the amount of artistry and effort that goes into creating them. 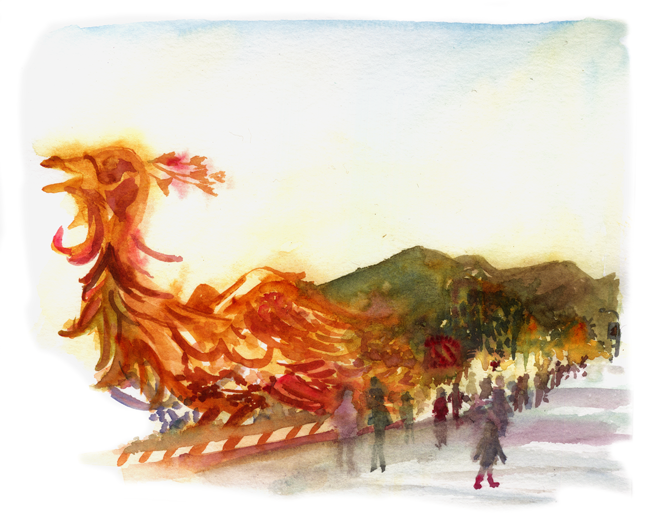 While I tried to capture the colorfulness of the floats, there were large crowds of people flowing through, blocking my view from time to time and some commenting on my sketches. After I painted one of the floats, I decided to "ghost" in the people in the front because they were indeed passing by. As the afternoon wore on, the day became colder and winter sun started to set quickly. The large float of a phoenix caught my eye, so I tried to capture one more sketch before the exhibit closed.